Blog Quick Quotes: Friday Challenge! (#3) Back-to-School!!! Your challenge is to show us what type of Back-to-School project you are working on. 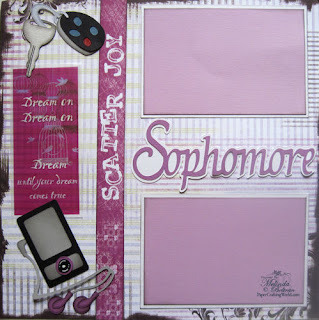 This could include school photos, an old photo of yourself, etc. It could also be anything school or learning related (layout with apples or maybe pics of you taking a cooking class.) The possibilities are endless :) Remember: everyone can participate. You don't have to use QQ products! 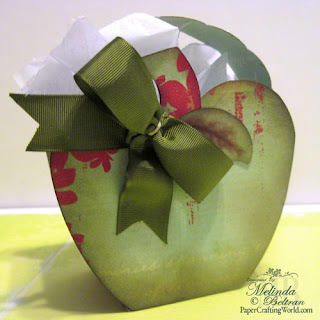 Check out her super cute Apple Bag to use as a Teacher Gift. 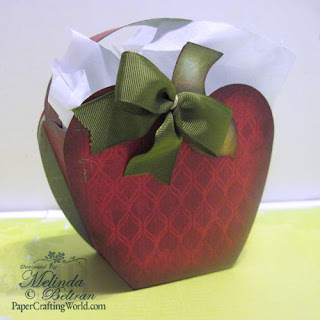 Did you know... MELIN is one of our DT Cricut Queens? 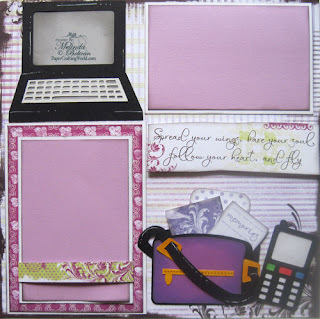 Check out her gorgeous layout with all of her diecut pieces. You can see more detailed shots at her blog. We know you are going to 'love' this backpack idea. Stay tuned later this month for a complete step-by-step tutorial!!! The Top 3 projects chosen by the DT will get their projects displayed here on our blog and get an amazing "top 3" button to proudly display on their own blog. InLinkz will ask you to copy/paste the URL link to your project. It won't allow you to link to your entire blog, but instead wants the link to the specific post that contains this project. Very cute projects! Only have a daughter in her last year of grad school so not much back to school fun anymore. Will have to see what I can make. Thank you Liz...@ Anita...another wonderful project from our wonderful guest designer! Can't wait for the instructions and tutorial on it! It will be perfect to give to my grandson's pre-school teacher!!! Thank you so much! Just posted mine...first challenge I have entered in a long time! I hope to be able to post something here too! This challenge looks like a lot of fun! Thanks for posting about this site Melin! I just added my project! Thanks for the fun challenge! Love this blog...so happy to have found it! Happy to join in on the challenge and look forward to seeing more wonderful inspiration!!! Thanks for the great challenge!!! Everyone's projects are terrific! Huge, huge project for me but I am very happy with how it came out. Thanks for the challenge and the inspiration. Glad to have found this & entered. Love back-to-school! Thanks for the challenge! !